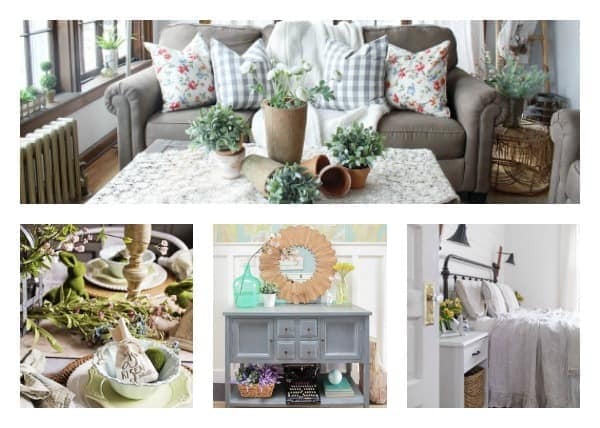 Red Brick on the Lake: Spring Refresh! Hi friends! If you are coming from my friend Jen at Noting Grace welcome! Spring is finally here and it's my favorite time of year. I love the transition from winter to spring, it just seems like a fresh start! I also love all that comes with spring...the storms, flowers, and of course warm weather! We have been on a major spring cleaning spree here at the house and it feels so good to get rid of some things and de-clutter. 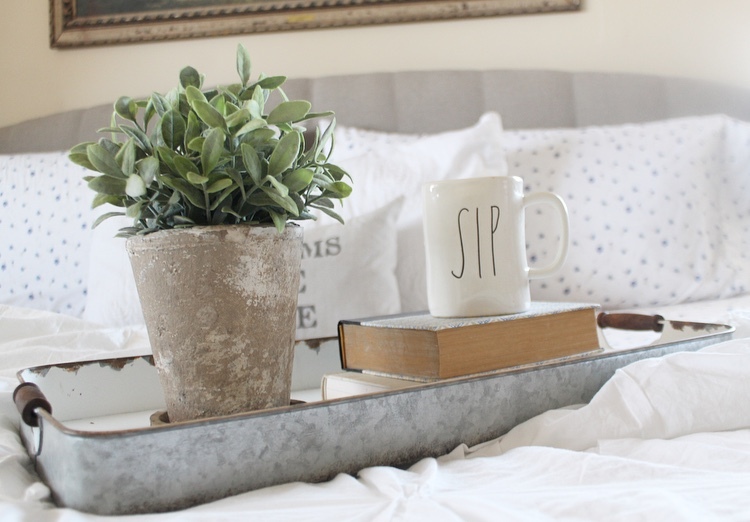 I'm joining some blogger friends to share how we incorporated spring into our homes! I love to add a few touches of spring around the house to freshen it up. Jenna from Wife in Progress blog organized this whole blog hop so I hope you enjoy it! 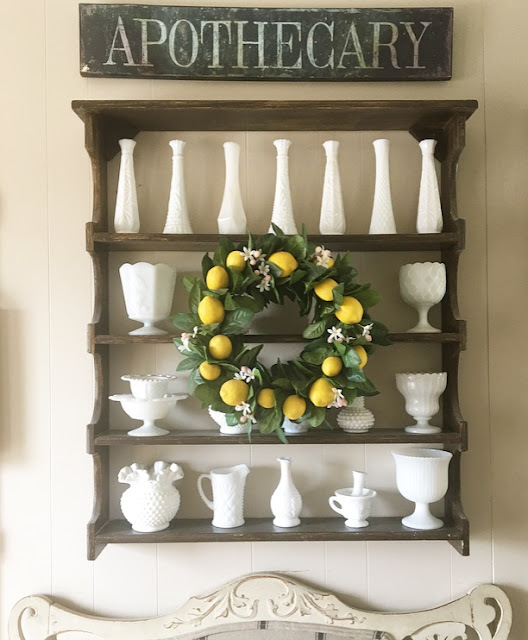 In my dining room I added this lemon wreath, perfect for spring and even into summer! 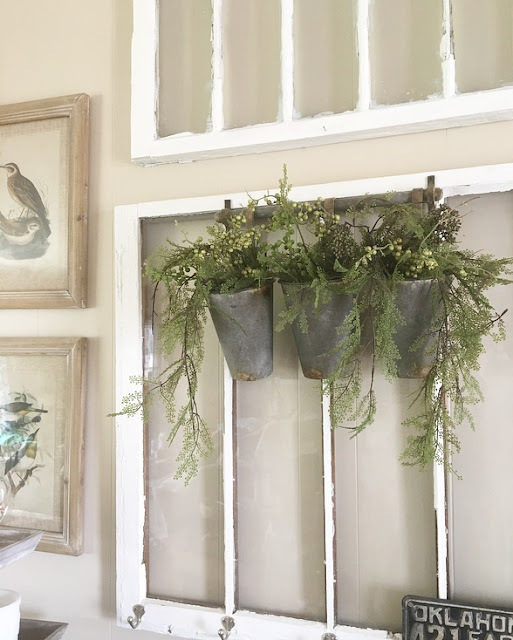 I love adding greenery anywhere I can! Also, these set of 4 bird prints are a great for spring or even year round. 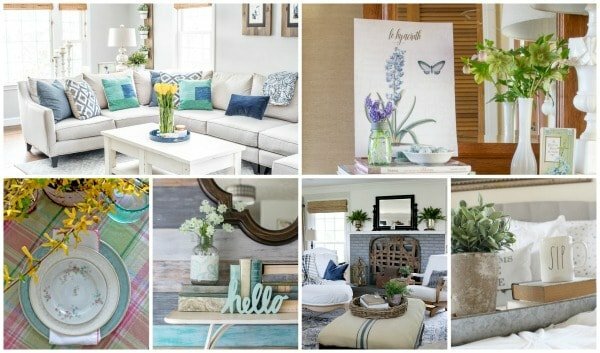 Thanks for stopping by and be sure to visit all of the blogs below to see how they incorporated spring into their homes! If you are following the tour, the next stop is Jenna @ Wife in Progress blog. I love all these touches of spring - and I can't wait to check out those sheets! My husband and I are super picky too! You have such a lovely home, my friend - and I always adore your styling! 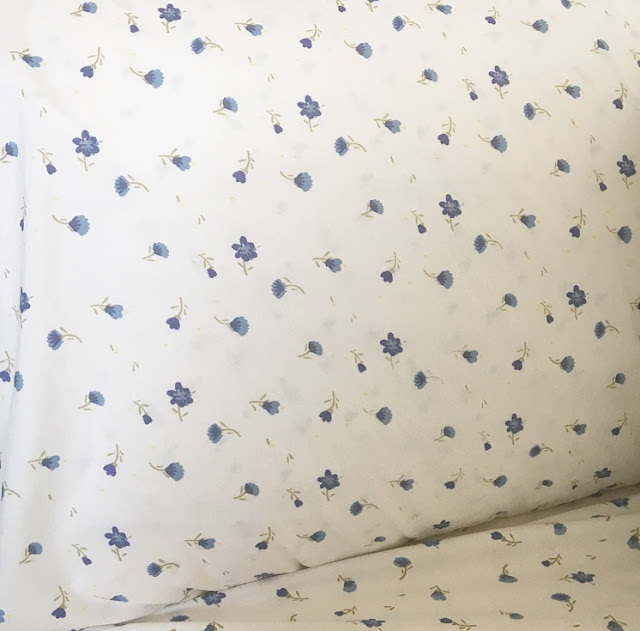 Those sheets are so cozy looking and perfect for spring. And you're right, that lemon wreath will be pretty through summer. Thanks for sharing your home! Really love that lemon wreath, and I have just the spot to hang it! Very pretty sheets and I love how you captured the sun streaming into the room. Love your cozy style! That lemon wreath is so pretty and really pops against the white! 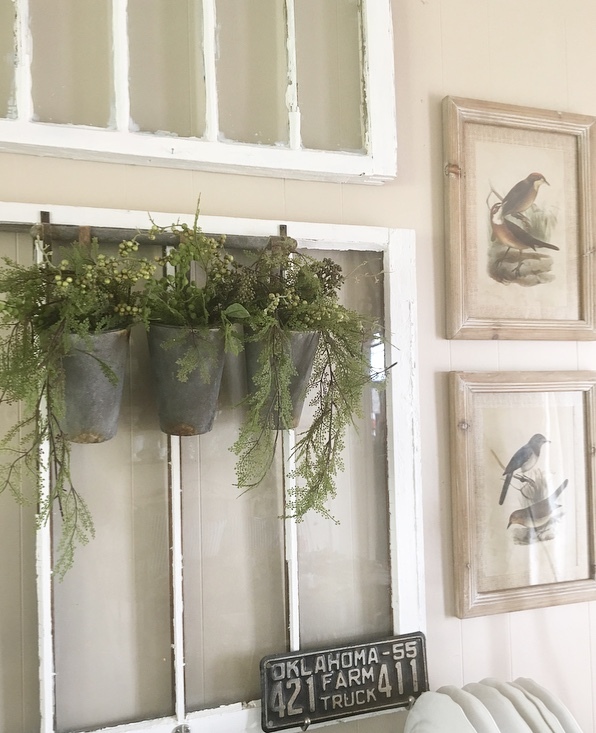 I love your farmhouse touches!! 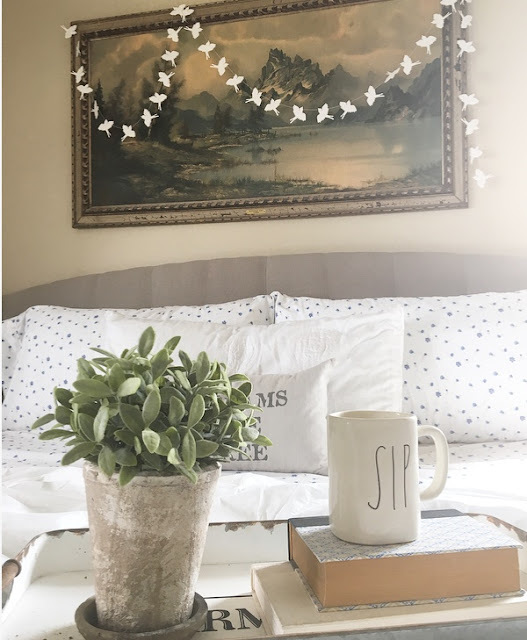 Those sheets are really pretty and I adore how that lemon wreath pops against the white! I am in love with those pretty bird prints and the lemon wreath. It’s so fresh and fun. I love the lemon wreath. It's a great color pop! And the whites in your bedroom so calm and fresh. I love all the natural pieces you used for a soft spring feel. The white dishes and the lemon wreath are wonderful. Happy to be on the Spring Tour with you. I love your Spring bedroom, those sheets are so pretty! Pretty sheets! I also just adore your white milk glass collection! Happy Spring! 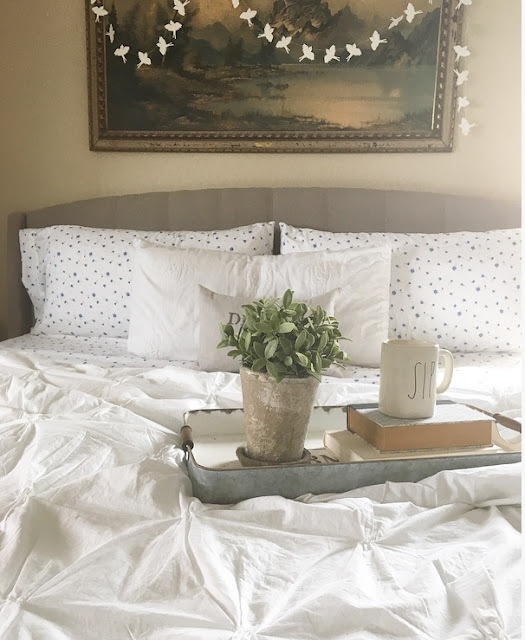 Such a cozy and beautiful space, I am definitely going to check out those sheets! Love the pretty greenery and those bird prints are gorgeous! So happy to be touring with you. What a beautiful space - Your milk glass collection is so pretty and I'm loving those vintage prints! 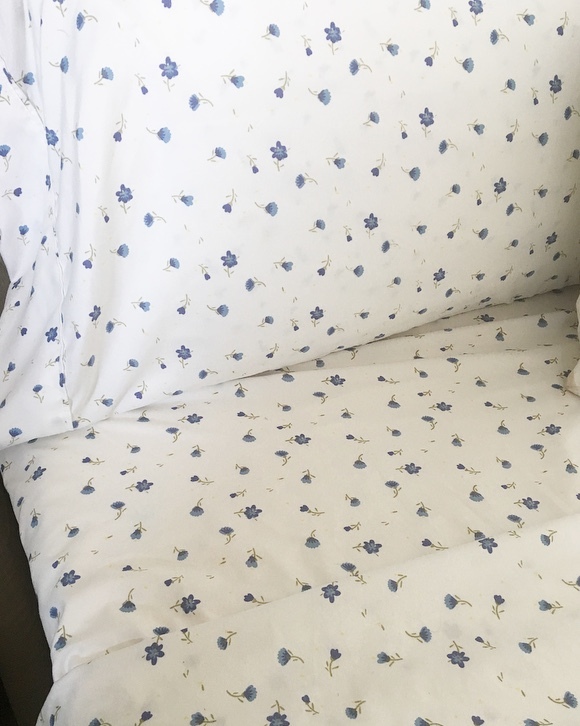 Those floral sheets are calling my name! Love your tour Daraka! I love your milk glass collection! Your home is just lovely and welcoming!